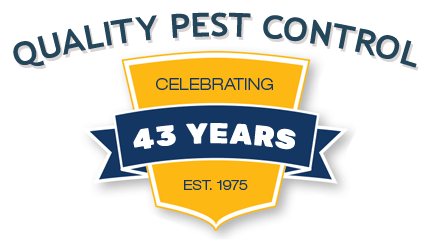 For more than 42 years, Ledford’s Termite & Pest Control has been providing expert termite services in the Charleston, Columbia and Florence area in the form of removal and prevention. 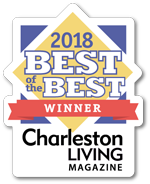 Our termite services are just one type of the many pest control options we offer, and we hope that our expertise in these areas will help to keep your home in the Columbia, Charleston Tri-County or Florence area safe and secure for years to come! Unless there are many obvious signs of an active termite colony, you most likely will not be able to detect a termite infestation at all; because they feed in areas that are commonly hidden from view, it makes it very difficult tell. 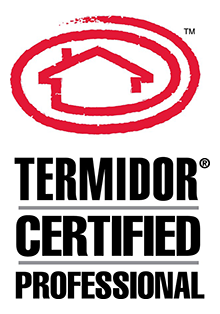 And consequently, because it is so rare that there will be a blatant display of termite activity, it is very important to get in contact with either Ledford’s Columbia, Charleston or Florence services as soon as you first suspect anything. We will then be able to dispatch a termite control expert to review your situation and conduct an inspection of the premises. Always be on the lookout for early warning signs such as discarded wings, wood that emits a hollow sound when tapped, paint that is mold covered, cracked or bubbling, and dirt sheltered tubes. On certain surfaces you may also notice small, pencil-sized tubes made of mud. If you have noticed any of these things, please call or e-mail us immediately. Both our Columbia, Charleston and Florence area termite services and treatments encompass all types of subterranean termites, including eastern subterranean termites and Formosan subterranean termites. Although there are numerous differences between the species, our proven techniques and various termite services are guaranteed to provide you with a termite-free home in the Columbia, Charleston or Florence area! Read on to learn more about termites in general, and some basic techniques that you, the homeowner, can employ to protect your investment from these destructive creatures. First off, finding evidence of termite activity does not mean it is too late to save your home – but it does require quick action. If you notice any of the indications that were listed above, please contact us immediately. Because termites are subversive little creatures that are almost always hidden from view – and because they work and eat twenty-four hours a day – their colonies can go undiscovered until serious damage is done. It is commonly known that termites feed on wood, but what many people do not realize is that they can feed on any cellulose-based substances. This includes such other things as books, boxes, various types of furniture, and drywall. Termites can also burrow hundreds of feet through soil to reach their food, so it is important to take note of your immediate surroundings – not just your specific property. And because homeowners insurance does not normally cover termite damage, early termite detection and repeated treatment are crucial to protecting your home. The main precaution to take to prevent a termite infestation is to eliminate all extraneous termite food and moisture from your home. To eliminate food sources, keep firewood, lumber, or paper away from your foundation; remove tree stumps or other debris near your house; place small mesh screens on all windows and outdoor vents; regularly check wooden decks and fences for damage; and make sure that wooden siding on your house does not come into contact with soil. To eliminate excess moisture, repair leaky plumbing and air conditioning units; divert all water from gutters and downspouts away from your house; remove standing water from your roof; and reduce excess plant cover and wood mulch from around your house.